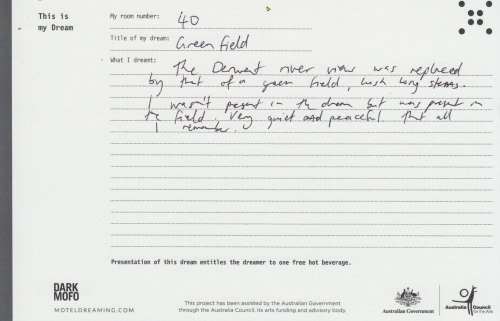 The Derwent river view was replaced by that of a green field, with long stems. I wasn't present in the dream but was present in the field. Very quiet and peaceful. That all I remember.